Press release provided by Terra State Community College. Terra State Interim President Dr. Ron Schumacher (left) and VSCTC Superintendent Greg Edinger. Fremont, OH, July 18, 2018 – Terra State Community College and Vanguard-Sentinel Career and Technology Centers (VSCTC) have announced a cooperative arrangement to develop career pathways for VSCTC students in a variety of programs. The two institutions will work with area businesses, industries, economic development organizations and secondary and higher education entities to provide education and workforce opportunities to students. The arrangement will offer students educational opportunities in eight programs: Auto Technologies, Business Administration, Criminal Justice, Culinary and Hospitality Management, Digital Information Technologies, Engineering Technology and Robotics, Health/Medical and Welding. Additional programs can be added at any time and both institutions will not duplicate course offerings. One featured program, Auto Technologies, was outlined during the signing ceremony held this morning. Students can enter the program in their sophomore year of high school. Upon graduation from high school, student participants will have numerous certificates, work experience and an Associate Degree from Terra State. Students then can choose to enter the workforce or continue their education. “Terra State and Vanguard-Sentinel have been able to improve efficiencies of these programs and provide more opportunities for students to gain the necessary skills and education to positively impact the area workforce. This program will move people through the pipeline to employment faster,” adds Greg Edinger, VSCTC Superintendent. Mohawk, New Riegel, Old Fort, Port Clinton, Seneca East, Tiffin Calvert, Tiffin Columbian and Upper Sandusky. 96% Skill Attainment/WebXam (CTE end of course exam) passage rate among 2017 graduates. 99% 12pt. industrial credential passage rate among 2017 graduates. Industrial Credential Examples: Pro Start, NATEF/ASE, NCCER, NIMS, AWS, STNA, APCO-911, to name only a few. 94% or higher retention rate from the first day of school to the last. 2016-2017 total enrollment: 532, with 180 Career Technology Education graduates. 2017 placement rate: 50% Career, 35% College (2/4 year/or apprenticeship program) & 15% military. 43 State Champions among career technical student organizations (SkillsUSA, FFA & Educators Rising). Sentinel Career & Technology Center Director Elissa Heal is looking forward to another successful school year this fall, expanding business and industry relationships and offering new outlets for students. Expanding upon character education – one of the pillars of all VSCTC programs – Drug Free Clubs will be offered starting this fall in addition to other programs designed to serve both the students and community. VSCTC is also rolling out the “Bronze-Platnum” program model, which will expand options for students and provide opportunities to area businesses and industries. The program is still in development; more information will be provided this fall. Vanguard-Sentinel Career & Technology Centers have been providing quality career technical education since 1968. The district provides students with specific, marketable skills to begin a career, pursue further training or attend college. For more information about programs, or to apply to be a student, visit www.vsctc.org. More than 100 Vanguard-Sentinel Career Center students traveled to Columbus this week to participate in the SkillsUSA Ohio Championships, bringing home 71 medals. The students displayed projects either as individuals or in groups, showcases projects that they have been working on throughout the year. Students from all 12 Vanguard-Sentinel District programs competed in the chapter display. Thirty-five Sentinel students won gold medals, giving them a shot at the national competition in Louisville, Ky this June. The district also brought home 22 silver and 14 bronze medals. Congratulations to all of the Vanguard-Sentinel students and educators! The Seneca County-based Sentinel Career & Technology Center is located in Tiffin (central Seneca County), is part of the two-county district, and serves 560 students (1,100 district-wide). 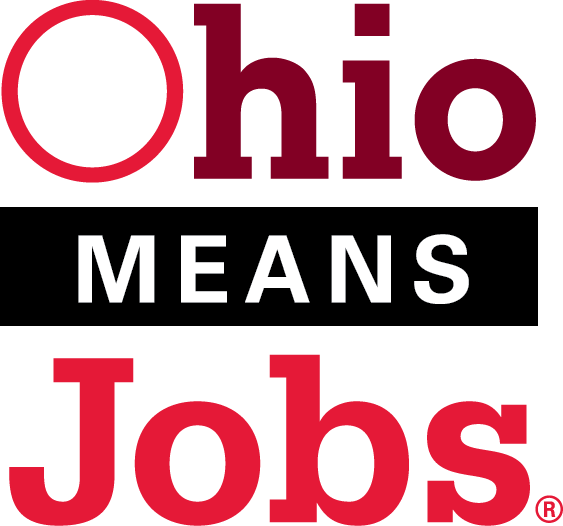 The District received As across the board on its report card from the Ohio Department of Education for technical skill attainment (92%), graduation rate (95% for four years), and post-program placement (98%). Sentinel is also the only vocational technical school in the nation to receive the National School of Character designation from Character.org. The school has also had multiple students compete nationally at the SkillsUSA challenge. SkillsUSA is a partnership of students, teachers and industry working together to ensure America has a skilled work force. SkillsUSA helps each student excel. SkillsUSA improves the quality of America’s skilled workforce through a structured program of citizenship, leadership, employability, technical and professional skills training. Vanguard-Sentinel Career and Technology Center has begun work on a $1.5 million, 11,000 square foot facility at their Tiffin campus. The building will be the new home of the Public Safety Program. The addition of space will move the program from just a classroom space to a lab environment that will allow the instructor to train the students in a setting similar to a real academy. There will be adequate space for physical and tactical training, an evidence and booking room, and also a bay entrance for equipment for the program. It will also have classrooms for the Adult Education and Collision Repair Programs, and a Wellness Center. The school has also partnered with the Seneca County Commissioners that will allow the new facility to be a secondary location for their Emergency Operation Center in the county. Clouse Construction is the contractor for the project, but now that the building is under roof, Sentinel students will gain hands on experience in their field of study as they work to complete the project, including (but not limited to) constructing walls and running the electric. Another project underway at Sentinel is the “AIM” Mobile Career Tech bus. This will be a mobile lab used to introduce K-8 students in 13 school districts to in-demand careers and the 12 career clusters available at Vanguard-Sentinel Career and Technology Centers. It is designed to engage students with career connections and experiential learning to better prepare for in-demand careers at an early age. This re-purposed bus (a partnership between Automotive and Collision Repair) will be a mobile and multi-functional CTE lab. An instructor will deliver exposure and hands-on experiences to students at their home school that will help AIM them in the right direction towards their future goals. This should be completed for the 2017-2018 school year. Vanguard-Sentinel is also looking at continuing to help mitigate a crisis in workforce preparation for advanced manufacturing careers and skilled trades with RAMTEC. Funded by the Ohio Department of Education’s Straight A Fund, RAMTEC supports a holistic approach to economic/workforce development by allowing students to demonstrate mastery of skills on equipment identical to that used in Ohio manufacturing industries. There will also be an expansion of programs, that will add and expand opportunities for Freshman through adults, continuing to focus on industry credentials but expanding opportunities including early placements and pre-apprenticeship programs designed in close collaboration with local business and industry partners. Sentinel is also involved in the strategic planning process for a county-wide Workforce Development Plan. Sentinel opened in 1985, and in 1997 the Family Learning Center was added in partnership with Seneca County. Five years ago, the entire facility underwent a complete renovation which included energy efficient upgrades to lighting, HVAC, and technology. The total cost of the renovation was $7 million. Students from Sentinel Career Center and the Vanguard-Sentinel District competed with more than 6,000 students at the SkillsUSA 52nd Annual National Leadership and Skill Conference in Louisville, KY from June 20-24, 2016, and tonight it was announced that they are bringing home gold metals in TeamWorks (construction), Carpentry, Collision Repair, and Nursing Assisting. The SkillsUSA event is considered the largest skills contest in the world, with more than 100 total contests, 1100 judges, and a 1.2 million square feet competition area. Elissa Heal, Director of Sentinel Career Centers, accompanied 21 juniors and seniors from the Collision Repair Technology, Health Careers Academy,STNA Health Careers Academy, Culinary & Hospitality, Building Construction Trades, Collision Repair Technology, Public Safety, Cosmetology and Electrical Trades programs to compete in the national contests. All were state gold medal winners and already champions. These additional awards just allowed the best of the best in Ohio the chance to compete nationally. Congratulations to Director Heal and all of our Sentinel students and instructors. We’re proud of you and celebrate your success! The SkillsUSA Championships is the national competition for public high school and college/post secondary students enrolled in career and technical education programs. SkillsUSA organizes this event, which is considered the largest skills contest in the world and the single greatest day of industry volunteerism in America annually at an estimated cost of more than $36 million. Each SkillsUSA Championships contestant is a state – level gold medalist. Begun in 1967, the SkillsUSA Championships has 6,000 competitors in 100 hands-on skill and leadership contests this year. SkillsUSA adds contests to the SkillsUSA Championships each year to meet the demands of new and expanding occupations. SkillsUSA instructional programs represent 130 different occupational areas.